Located in Northern California, The Ring of Fire BBQ specializes in true Southern Bbq. Unmatched Bbq fare, complimented with unparalleled hospitality experience, The Ring of Fire is the only choice for your catering needs. Along with their hardworking service and kitchen staff, The Ring of Fire BBQ is brought to you by husband and wife team, Ken and Rebecca Wachtman. The love of BBQ is deeply rooted in the veins of Pitmaster Ken. Spending nearly twenty years, sharpening his skills… he has perfected the pure, dry rubbed, gently smoked flavors that can only be found in true Southern Bbq. After doing extensive research in Texas, Tennessee, and North Carolina…he has honed his craft to the point where his Que is indiscernible from the famous regions where Bbq began. Chef Rebecca is a career professional in the hospitality industry and has held many titles over the years. Having worked in every aspect of the food service industry and carrying a deep understanding and appreciate for serving others, Rebecca has long dreamed of bringing her love of carefully thought out food and service to the communities surrounding her. She has clocked hundreds of hours in her personal kitchen, honing her skills and perfecting every recipe she has developed. 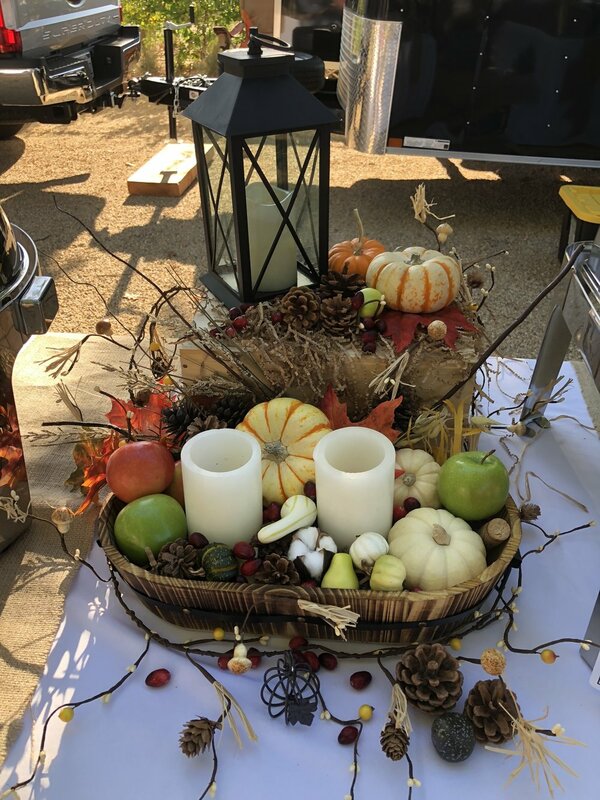 The Ring of Fire BBQ offers 3 tiers of catering, to fit everyone’s event and budget needs: Simple Drop Off Package, Full Service Catering Package, and Wedding/Special Event Package. Don’t see a package or pricing that fits your needs? We can customize any menu! This option is ideal for folks who don’t need tables. linens, serviceware or staffing to execute their event. With a Simple Drop Off, we will prepare and package your food in disposable serviceware and drop off at your desired location, ready for you to set out and serve as you desire. Package pricing includes heavy duty eco friendly disposable plates, flatware and napkins. We also supply artisan rolls, butter, and Bbq sauce. Free delivery within Folsom City limits. For delivery outside of Folsom, charges start at $25. 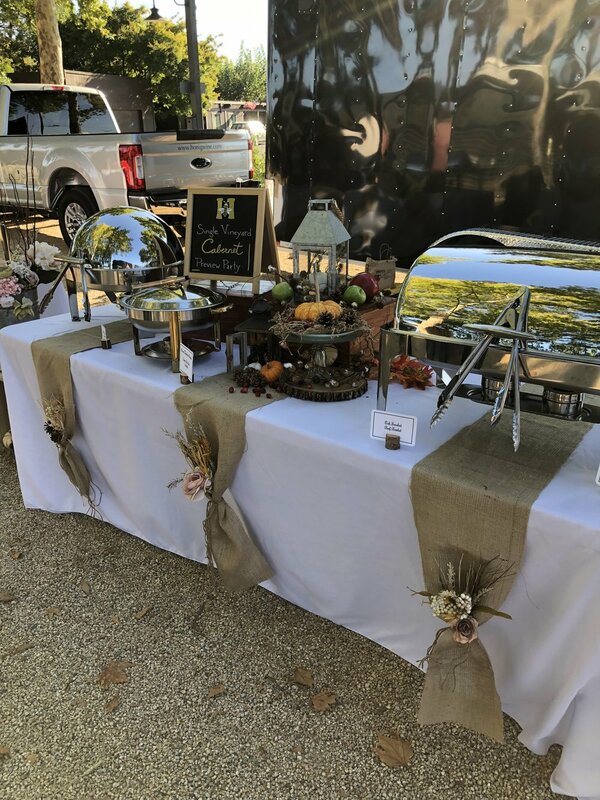 Full Service Catering - This option is ideal for clients who want to enjoy their event, without worrying about setting up buffet tables, serving, and clean up. Our staff will arrive at your location with buffet tables, white linens, and all serviceware. They will completely set up and maintain your buffet for 1 hour of service. Light cleanup of your guests disposables and tables are included. Our staff will then completely cleanup and breakdown the buffet area, leaving you with virtually no cleanup. This option is perfect for corporate events, birthdays, retirements, anniversaries, holiday, and private parties. Package pricing includes all staffing…No extra hidden charges. We also include heavy duty eco friendly disposable plates, flatware, napkins, artisan rolls, butter, and Bbq sauce. 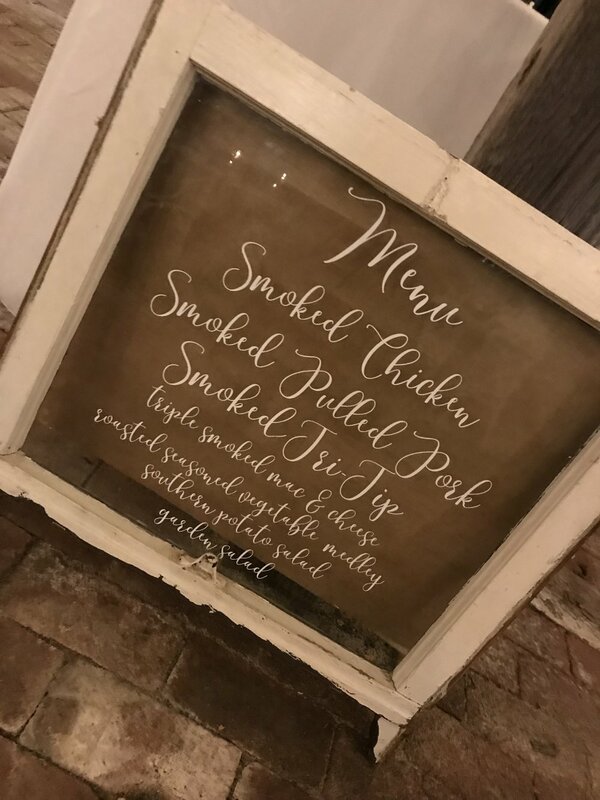 For several years, The Ring of Fire Bbq has been a leader in creating and executing one of a kind wedding menus. The catering planning team understands the importance of your wedding day and will work closely with you to ensure every food detail is considered, every expectation exceeded. Package pricing includes all staffing needed to execute your special day. Our team will arrive before your ceremony begins and will have tables and stations decorated and ready before your guests arrive. We will stay until all aspects of our duties are completed, most times, until the finale of your reception. Packages also include our heavy duty eco friendly disposable plates, flatware, napkins, artisan rolls, butter, and Bbq sauce. Upgraded table settings are available with additional cost. Brisket…Rubbed down with our proprietary blend of seasonings and then slow smoked for 16 hours over local oak wood. Pulled Pork…Rubbed down with a blend of sweet and savory seasonings and then slow smoked for 14 hours over local peach wood. Whole Chicken…Brined for 24 hours to ensure a juicy and tender product. Then rubbed down with a custom seasoning blend and smoked over apple and oak woods. Santa Maria Tri Tip…Rubbed down with a custom blend of seasonings and then briefly smoked before transferring to our Santa Maria grill and seared to a perfect medium rare. Smoked Sausage…procured from a local butcher, our sausages are smoked to the perfect doneness.